Whose feet couldn’t use a little TLC? With all the miles we put on our feet, don’t you think they deserve a little pampering? 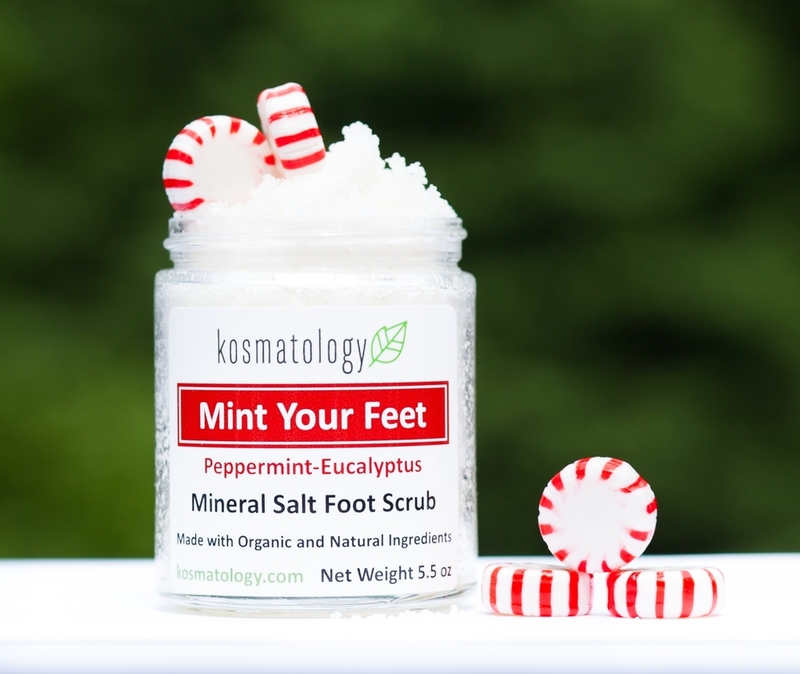 The Mineral Salt foot scrub will exfoliate those tootsies while the organic peppermint and eucalyptus essential oils cool, soothe and revitalize your sore, burning, tired feet. The salt scrub also doubles as a mineral salt soak. Just add one tablespoon to warm water and soak your feet to pure bliss. After you have finished, follow up with our Mint Your Feet foot balm. Our foot balm will continue the pampering with organic peppermint and eucalyptus essential oils to cool and soothe and organic Shea butter, coconut oil and olive oil to rehydrate and repair. Your feet will thank you, and you will look forward to wearing those strappy sandals you love so much!